HART – The scores have been very close lately when rivals Hart and Shelby hook up in boys basketball. The two teams met just 17 days ago, with Hart pulling out a thrilling one-point victory. 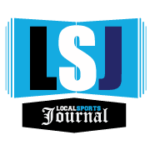 So a big crowd showed up on Monday at Hart High School to watch the rivals go at it for the third time this season, in the opening game of a Division 3 district tournament. The fans weren’t disappointed. 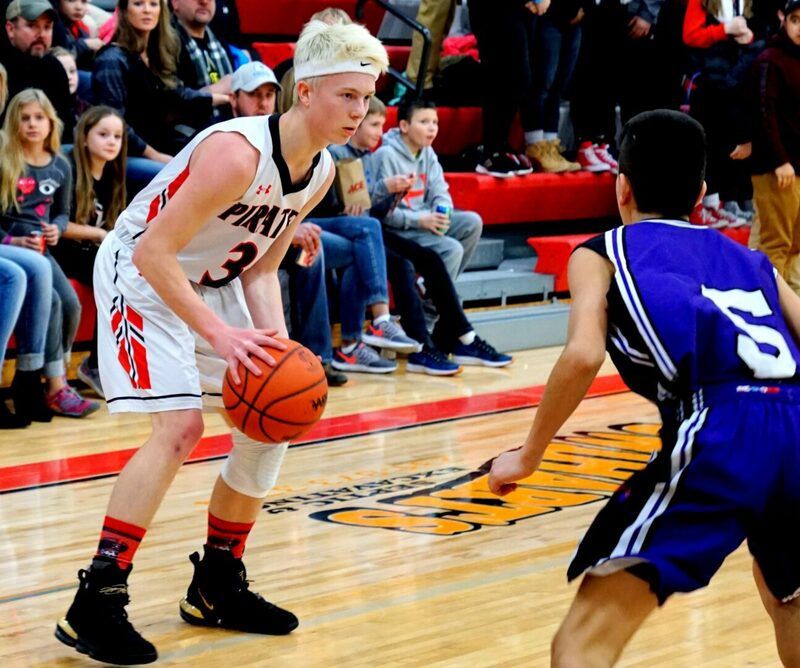 The Pirates and Tigers again battled down to the wire, before four free throws in the final minute sealed a 38-35 victory for Hart. 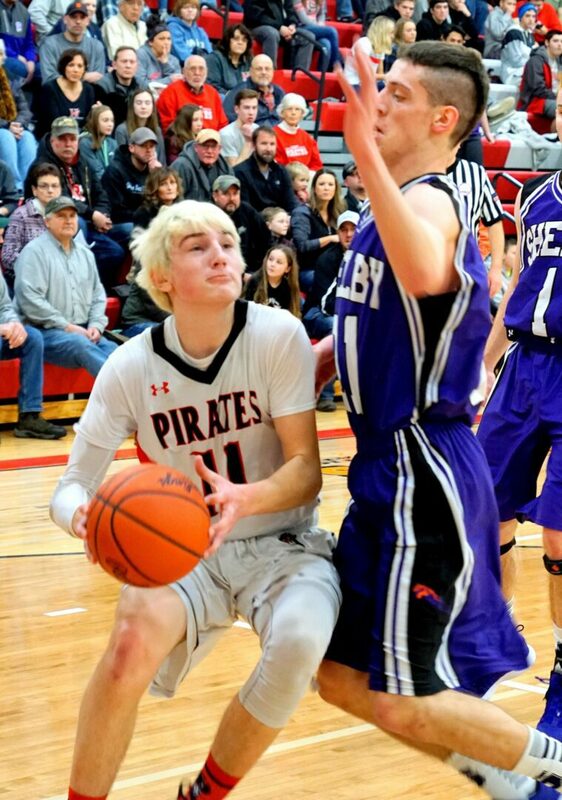 It was the Pirates’ third win over Shelby this season, and sent them to Wednesday’s district semifinals against Holton at 7 p.m. at Hart High School. White Cloud and Hesperia tip off at 5 p.m. in the other semifinal. Hart clung to a 6-4 lead after a turnover-riddled first quarter. Shelby took its first and only lead of the game when senior Tyler Schouten made a layup with just four seconds left in the second quarter to put Shelby ahead 16-15 at intermission. But the much more experienced Pirates opened the second half by scoring five straight points, held Shelby to just two points in the third quarter, and led 24-18 heading into the fourth. Shelby trailed by nine points early in the fourth quarter, but managed to fight back and stay in the contest. With about two minutes left, Schouten drove the baseline, nailed a layup and was fouled. He added a free throw to draw the Tigers within one point, 33-32. But Hart’s senior guards, O’rian Torres and Simon Herrera, each sank two free throws down the stretch to seal up the victory. Torres paced Hart with 13 points. Another senior, Dustin Klotz, finished with seven points and seven rebounds. The Pirates won the rebound battle 31-27. Schouten finished with a game-high 18 points for Shelby. Tristan Landis added nine points and Isaiah Frye snagged seven rebounds. Shelby finished the season with a 2-18 overall record. 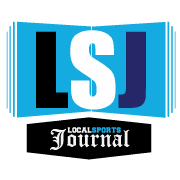 Zoulek, who last month recorded his 700th career victory as the Shelby boys head coach, knows his young team definitely improved over last few weeks of the season.